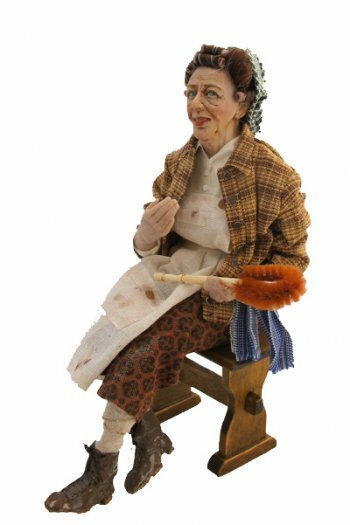 This is Bobbie Jean the cleaning lady, hand sculpted by The Colvin Studio. She sits, with hair in curlers, on a wooden stool (included) thinking about all she has to do today! She is a wonderful 1/12 Scale Character with a lot of personality. She is cast by the artist in durable high quality resin and is highly detailed as are her clothes.A great character for your miniature setting.